Philadelphia-born William Shippen was the son of Joseph Shippen. As a young man, he studied medicine without the guidance of a mentoring doctor or structured courses before establishing a large practice. He served as a physician to Pennsylvania Hospital from 1753 until 1778. Over his career he gained a reputation as a doctor who reliably cured people and was particularly liberal towards the poor. He is also known for training his son, William Shippen Jr., before sending him to Europe for formal medical education. William the younger had been too old to benefit from the creation of the Academy and then College of Philadelphia; he was instead educated at an academy in West Nottingham, Chester County, Pennsylvania, and earned his A.B. from Princeton in 1754, three years before Penn’s first graduating class. But when the younger Shippen returned to Philadelphia after receiving his M.D. from Edinburgh in 1761, he quickly became closely connected to Penn. 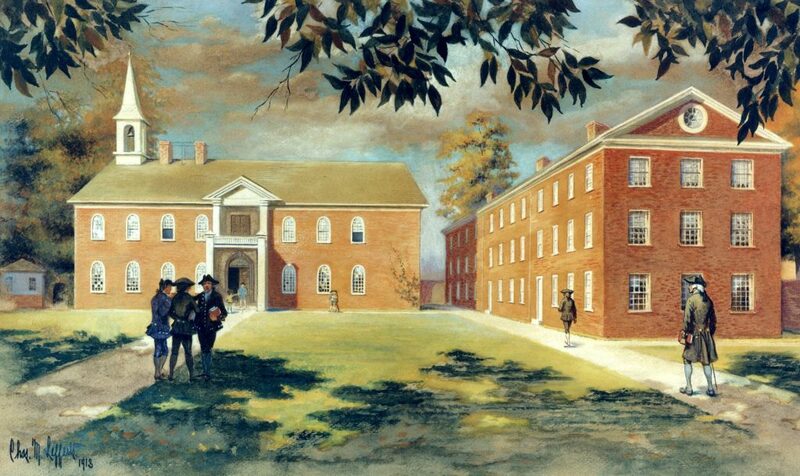 At his father’s encouragement, young William commenced America’s first series of anatomy lectures in 1762; he became one of the first professors of America’s first medical school when the Penn medical school was founded in 1765. The elder William Shippen helped to found a number of cultural institutions: the Academy and College of Philadelphia, the College of New Jersey (Princeton University), and Philadelphia’s First Presbyterian Church. He was also a member of the Junto, the political and intellectual elite surrounding Benjamin Franklin in Philadelphia. After this group evolved into the American Philosophical Society, William Shippen served as its vice president beginning in 1768. During the Revolutionary War, Shippen supported the Revolutionary cause and was elected to the Continental Congress in 1778 and 1779. Shippen was a founder of the University of Pennsylvania, serving as a trustee of the College and Academy of Philadelphia from 1749 to 1779, and then of the University of the State of Pennsylvania until 1786. Both of these institutions were predecessors of the University of Pennsylvania. He died at the age of eighty-nine in Germantown in Philadelphia County.